September 4, 2012 - Eminent women thought leaders from government and industry provided an informative perspective on the U.S. Department of Defense push for affordability in space at a Women in Aerospace forum hosted by Northrop Grumman Corporation. The panel, moderated by Northrop Grumman's Linnie Haynesworth, vice president of aerospace products, included Lt. Gen. Ellen Pawlikowski, commander of the Space and Missile Systems Center (SMC) at Los Angeles Air Force Base; Wanda Austin, chief executive officer of The Aerospace Corp.; Gwynne Shotwell, president of Space Exploration Technologies (SpaceX); and Betty Sapp, director of the National Reconnaissance Office. In her opening remarks, Haynesworth noted that "the issue of space affordability is a challenge, but also represents an opportunity for our industry." The panelists discussed such topics as the role of technology, launch-on-demand capability and fixed-price contracting. Pawlikowski said the SMC, part of the Air Force's space acquisition arm, is examining "what we buy and how we buy it." This review has put the SMC on a path toward new space architectures based on smaller and more manageable satellites. The goal, she said, is "not only affordability, but also resiliency." Panelists also fielded questions from some of the more than 300 Northrop Grumman employees and Women in Aerospace supporters who attended the Aug. 21 event at the company's Space Park campus in Redondo Beach, Calif.
Women in Aerospace (WIA) is a national organization dedicated to expanding women's opportunities for leadership and increasing their visibility in the aerospace community. WIA membership include women and men who share an interest in a broad spectrum of aerospace issues, including human space flight, aviation, remote sensing, satellite communications, robotic space exploration, and the policy issues surrounding these fields. 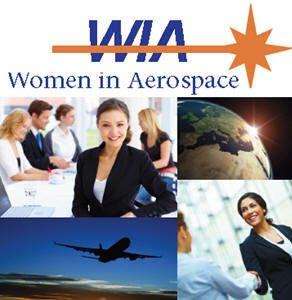 To facilitate discussion of issues facing women, as well as the aerospace industry as a whole, WIA organizes events in Washington, D.C., at aerospace conferences and meetings around the world, via web and telecon for professional development and through networks in local communities. Their member programming is directed toward issues of importance to the aerospace industry as a whole, and focuses on specific topics of interest to their members. Northrop Grumman has been recognized by several organizations for its commitment to a diverse and inclusive workforce and supply chain. Among them, the company was recently ranked No. 37 among the top 50 companies in diversity by Diversity Inc magazine. It was also ranked No. 2 among the top 50 employers and No. 3 in the top 50 for a positive working environment for members of minority groups by Minority Engineer magazine.